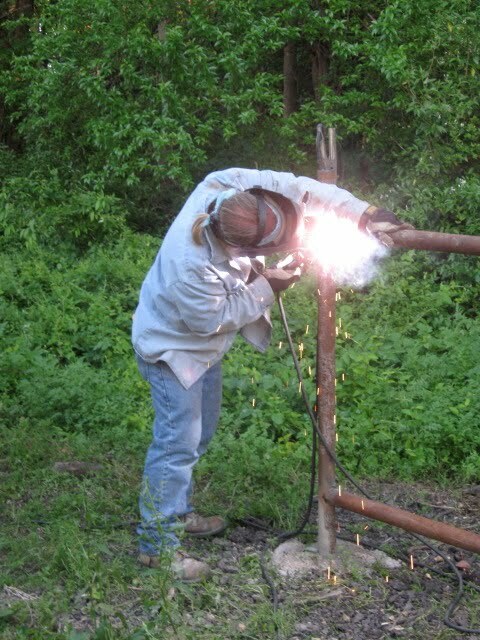 Bennett welds posts and braces. 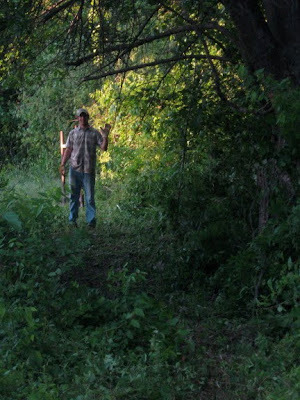 And Daniel carves a tunnel in the woods with his chain saw. The new fence will run through this hole, and the sheep will clear anything that ends up on their side of the fence. On the upside, the forecast for the festival is great so far. I hope it holds. My biggest issue right this minute is figuring out how to get all my inventory and personal effects to MD in my suitcases. I'm thinking space bags. And magic.